but it isn't going to get the better of me. as my shoulder is playing up. To keep my mind off it I've been doing some other things :-). I have got a few projects on the go. as they are really exciting me. 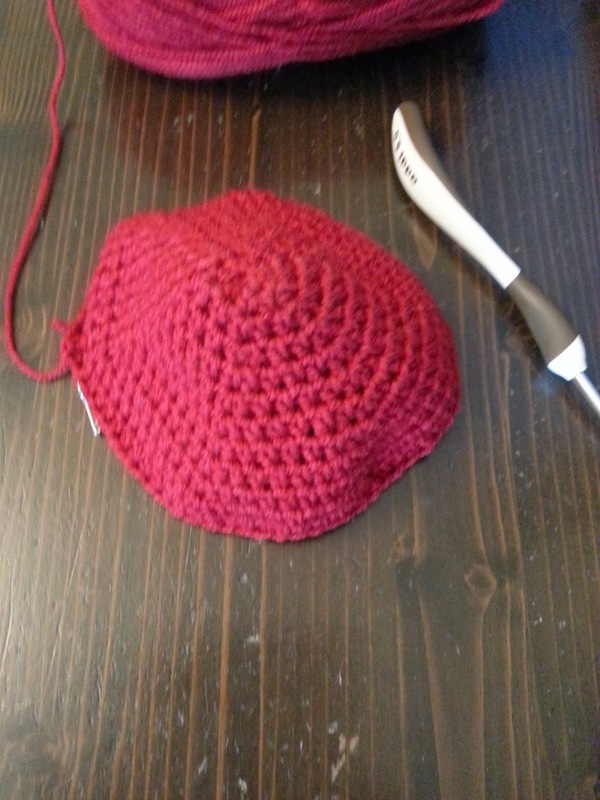 This is hopefully going to be the Iris Flapper Dream Hat. 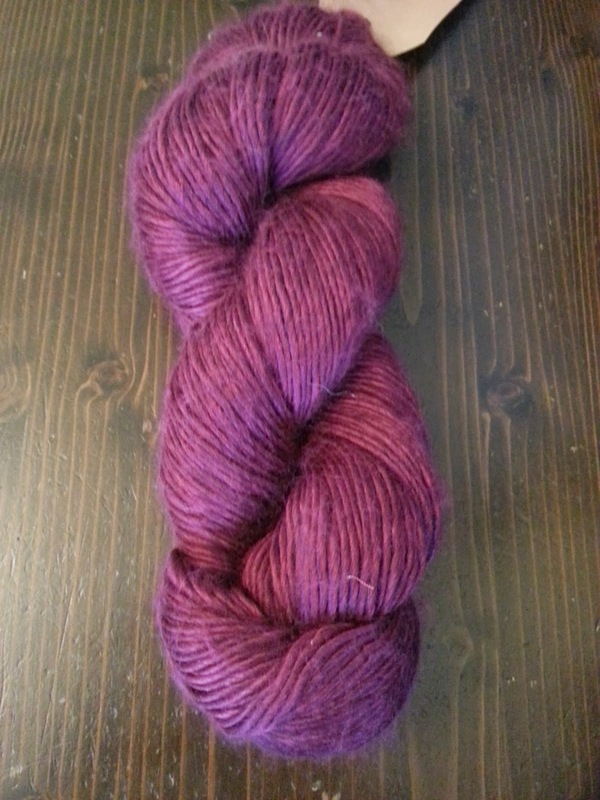 I was given a skein of Scrumptious by Fybersates. It's 45% silk and 55% merino. 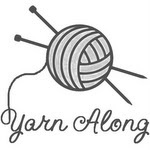 I have picked this skein up numerous times. but couldn't decide what to make with it. with the yarn as the accent. in cream with this yarn to spice it up. I'm hoping it will work as I'm really excited about it. 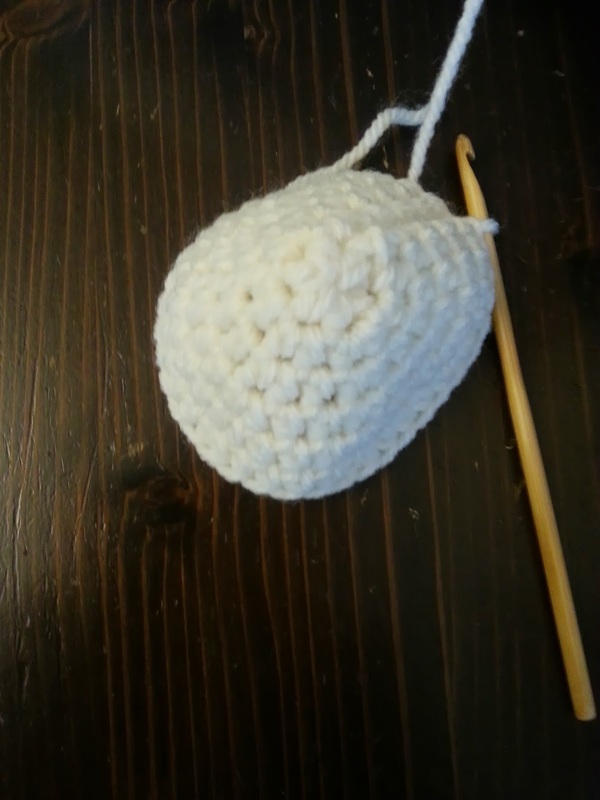 This is hopefully going to be a samurai hat. I think I've got the design straight in my head now. I just need to put the ideas together and get it made. Little Red is learning about the Romans at the moment. 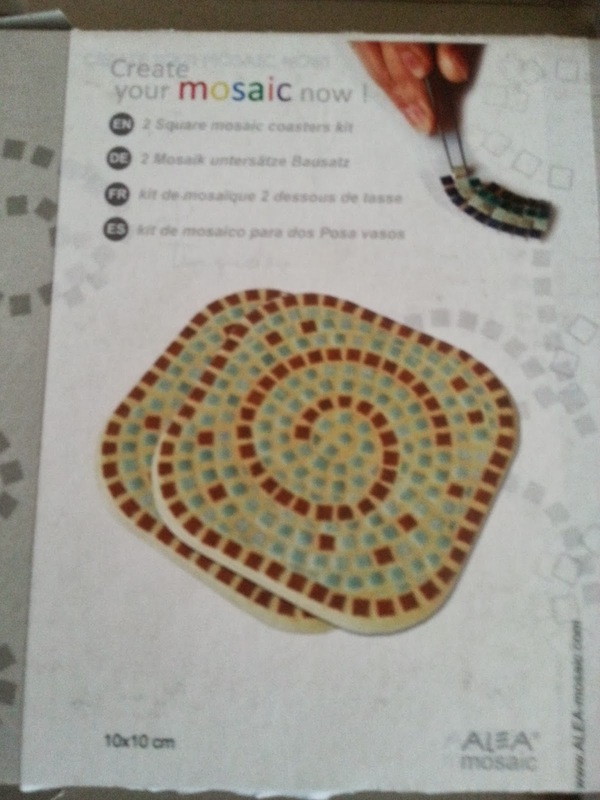 I purchased an elephant mosaic for him to make. 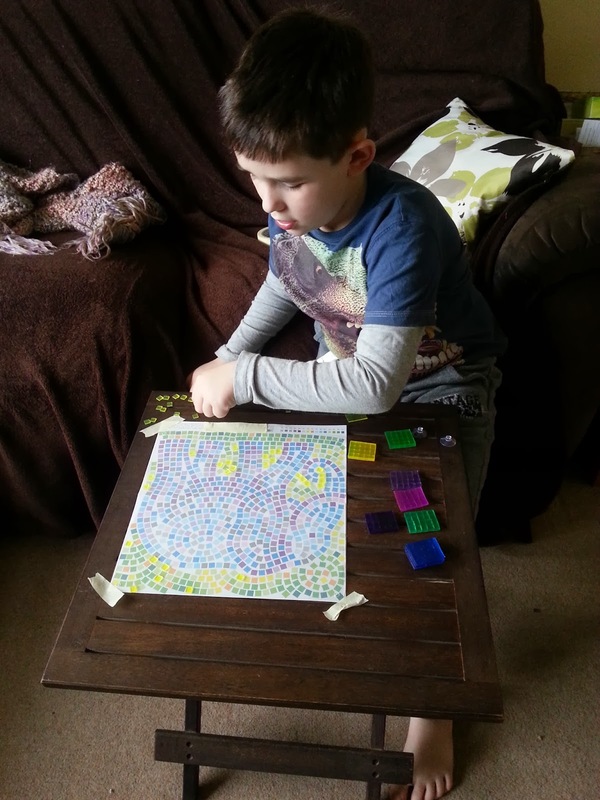 I find that making things puts the ideas in his head quicker. It was also a fun project. In the pack you get a clear plastic sheet. 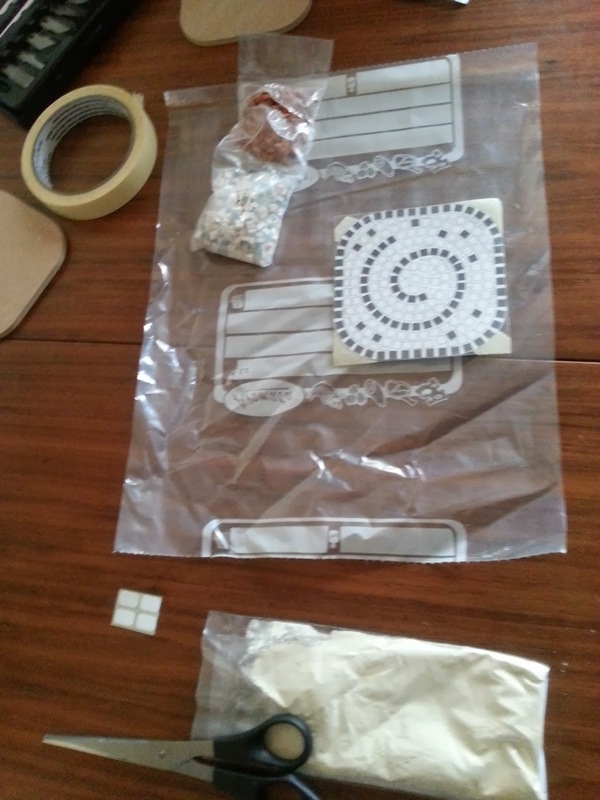 to use as the pieces. through (well if we had any). could do without a lot of help. a real mosaic so that we could work together on it. 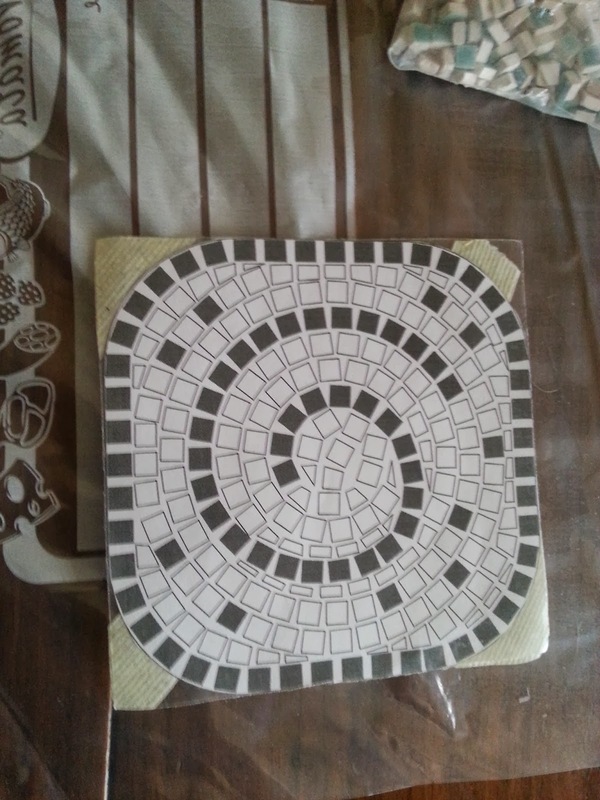 I still have to grout it but I'll hopefully get that done soon. I'm quite pleased with how they are looking. 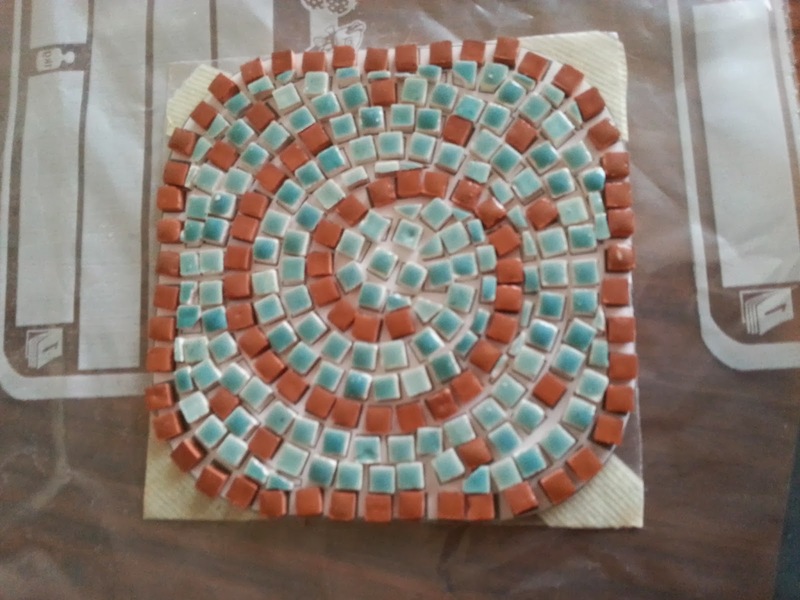 on the coasters and grouted. to wait till Friday for them :-). I'm reading 2 book at the moment. The book is about a girl Tanzy. She has been brought up on a farm with horses. Her dad is killed and now things have taken a turn for the worse. People come into her life that may or may not be there to help her. The story is full of twists and flashbacks to the past. is now a grown man. be hurt or attacked every again. but seem to have gotten away with it. and the police are no nearer to catching him. second guessing yourself as to who is the vigilante. and films of how to train a dragon. so we decided to get the books. They are soooo different than the films. The characters are the same or similar. plays out are completely different. has had to get his head around the differences. as good if they were exactly the same.